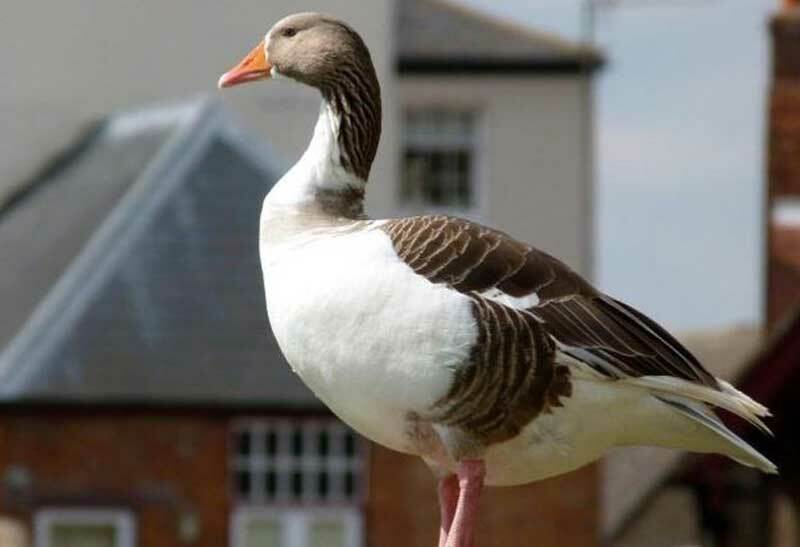 A huge goose is on the loose and it could be heading for Exeter in Devon. The giant, grey and white Pomeranian goose has flown the coop and left owner Roger Osborne of Stoodleigh Bridge, near Tiverton, desperate to track her down. Mr Osborne, who bought the large bird for £20 from a painter and decorator, said it was the largest goose he had seen. “I call him Big Fella or Pommie, but of course geese do not answer to a name. She is big enough to scare off foxes who are afraid of her.